You could have the best website, the most high-quality photos, and glowing descriptions of your product. But nothing builds trust with a client quite like a good word from another client like themselves. Recent studies have shown that more than 90% of consumers consider customer reviews when making purchasing decisions. Customers get a better idea of the experience of using your product. When selling a physical product at a physical store, businesses need to stimulate the consumers' five senses in order to influence their decision. Reading reviews (especially more detailed ones) from other clients is the next best thing when shopping online. It boosts your SEO. You can improve your search rankings as customers add new keywords with their reviews. You get a better idea of what to improve on. There is no such thing as a bad review. If anything, reviews help you evaluate your strengths and weaknesses, improve your offerings, and help your business evolve. What does this mean for Flexible Space Operators? The benefits of client reviews apply even for flexible workspace operators. With online platforms such as FlySpaces helping clients compare and book coworking spaces, private offices, meeting rooms, event spaces, and more, the need to stand out becomes even more crucial, and client reviews become more helpful than ever. Think about it: whether a client is looking for a private office (a big purchasing decision all on its own), or a meeting room, they're looking for a place where they can make history for their business. This isn't a decision to take lightly. Seeing other clients like themselves describe their experience at your space enables potential clients to imagine how they might experience your space for themselves, and help them trust you more before you even contact them for the first time. Operators can boost their credibility by having reviews populate their space listings on the site. Reviews complete their listing page, already full of information such as the prices, location, description, photos, and amenities. A complete profile enables consumers to make decisions faster and hit that "Inquire" button. Want to list your space on our website? Click here. 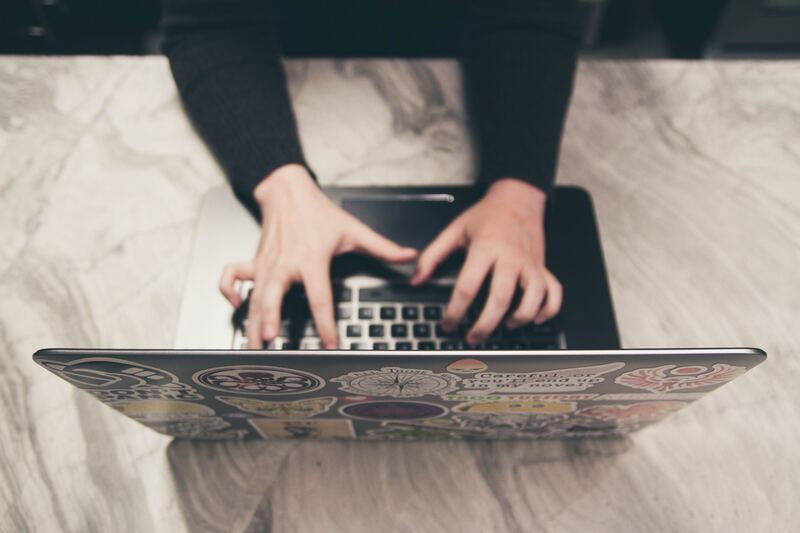 If you're already a Partner of FlySpaces, read on to find out how you can complete your listings with reviews. 2. 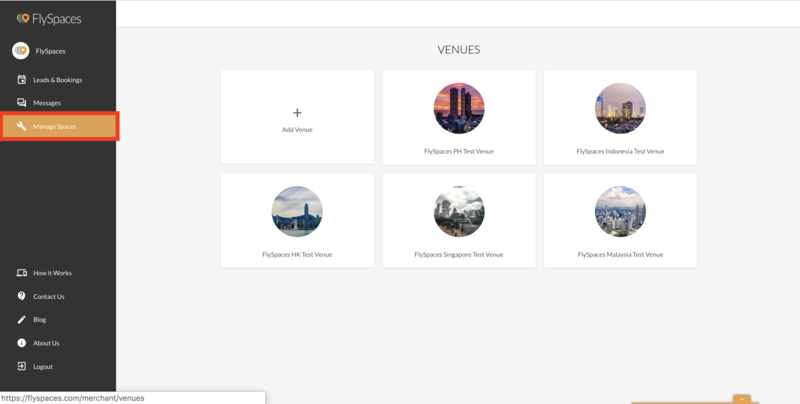 To access the space link, select the venue where you can find your space and click on the “Spaces” tab on top. 3. 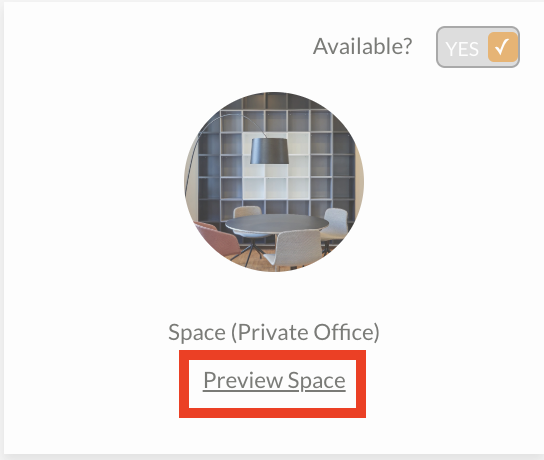 Click on “Preview Space” (NOT on the box) to go to your space listing. Copy the link to the space listing. 4. 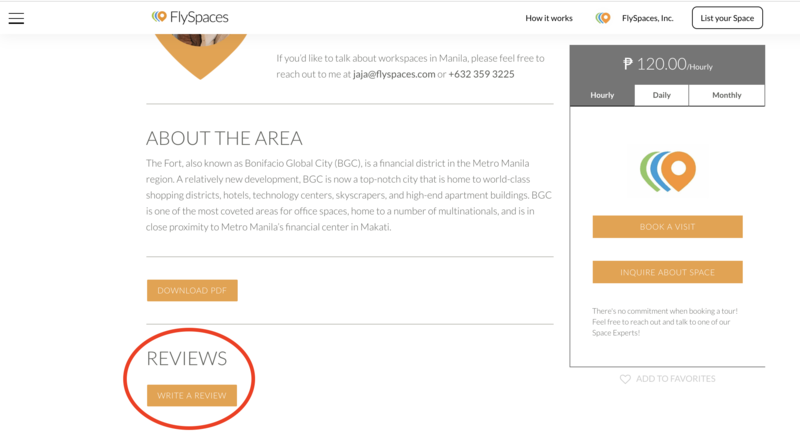 Link the space to your client and ask them to click “Write a Review” at the bottom of the page. The client needs to be logged in/have an account on FlySpaces in order to write a review. Signing up is free and takes less than five minutes. Take the first step to getting your spaces noticed, and compel them to click on "Inquire." Log in to flyspaces.com now to get reviews on your listings! Have any more questions? Drop me an email and I'll be happy to help you out! 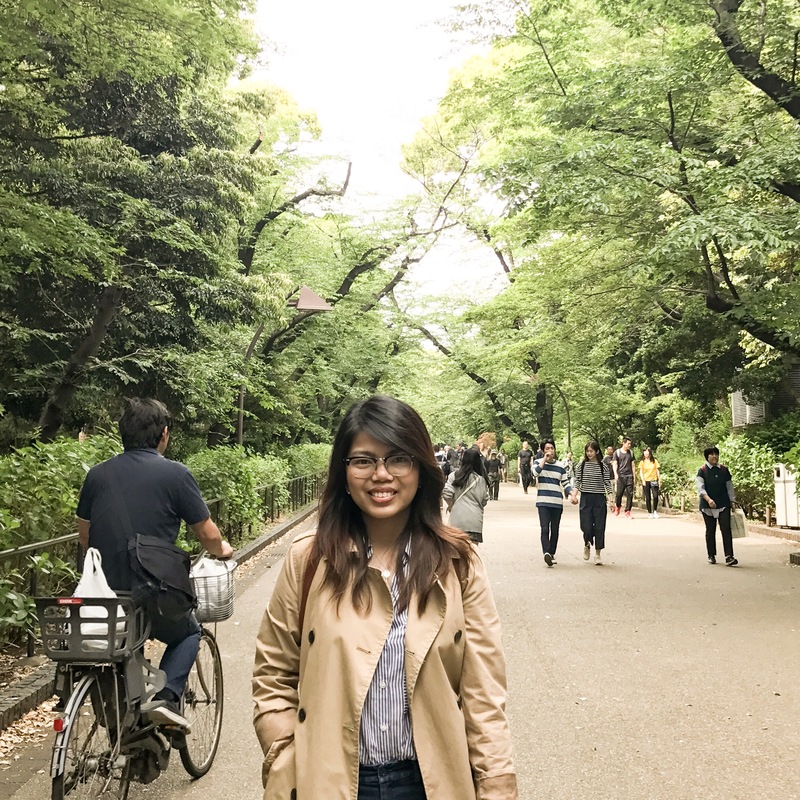 Jess is Partnerships and Marketing Manager for FlySpaces. She helps connect flexible workspace businesses with not just other businesses, but with people.